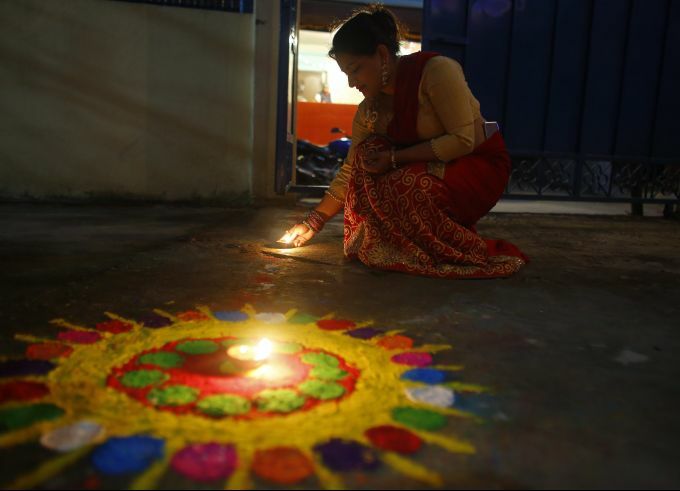 Kathmandu : A Nepalese woman lights an oil lamp during Tihar festival in Kathmandu, Nepal, Wednesday, Nov. 7, 2018. 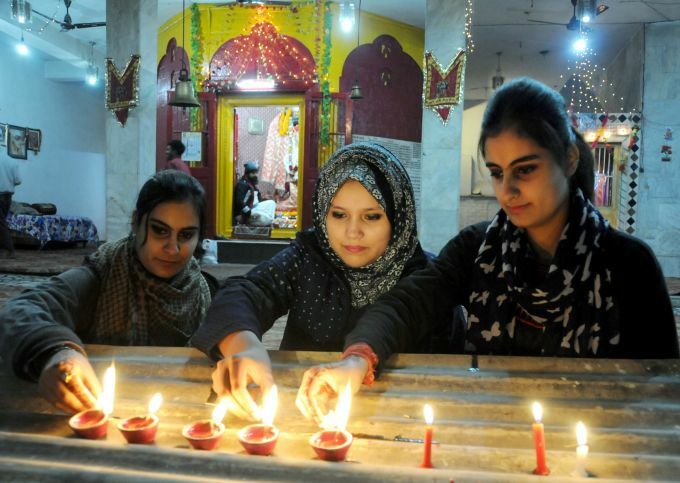 Hindus decorate their houses and worship, Lakshmi, the goddess of wealth during this festival of lights. 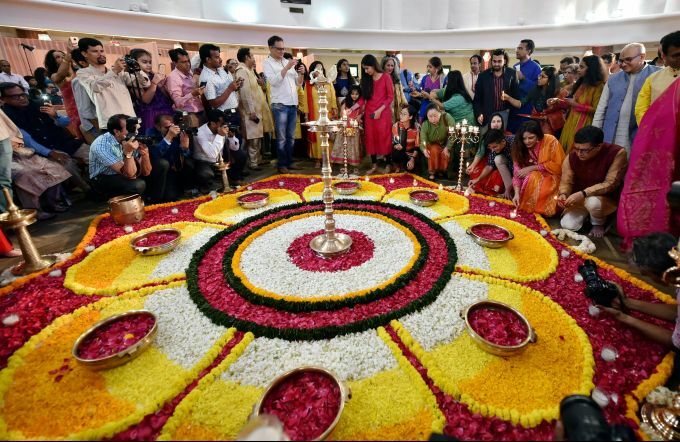 Mumbai: Guests light the lamps during a special 'muhurat' trading session for Diwali at BSE in Mumbai, Wednesday, Nov. 7, 2018. 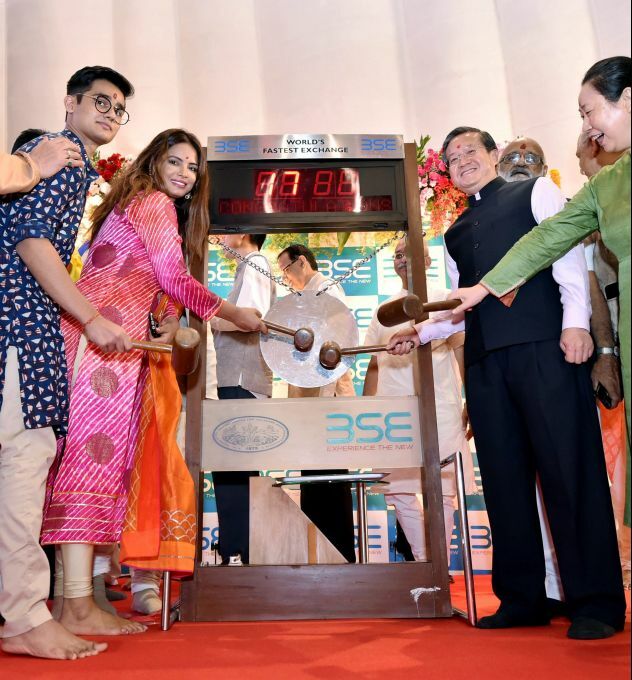 Mumbai: Bollywood actor Nitu Chandra strikes the gong during a special 'muhurat' trading session for Diwali at BSE in Mumbai, Wednesday, Nov. 7, 2018.